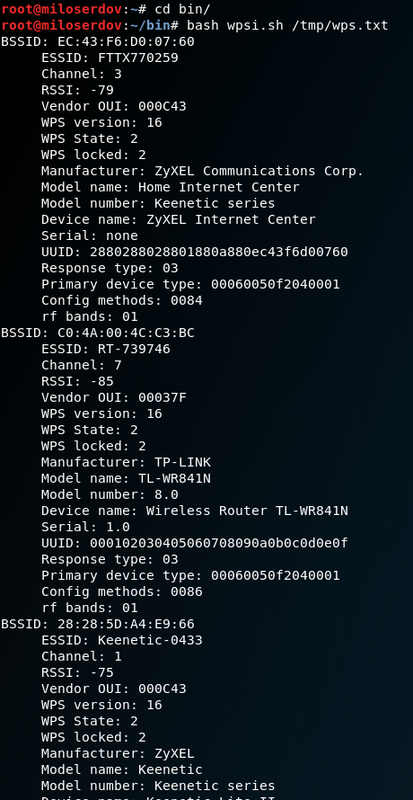 Reaver implements a brute force attack against Wifi Protected Setup (WPS) registrar PINs in order to recover WPA/WPA2 passphrases. Wash is an auxiliary tool designed to display WPS enabled Access Points and their main characteristics. Wash program is included in the Reaver package. Some time ago a number of innovations were added to these programs and various bugs were fixed. In this article I want to talk about the new possibilities of these programs. 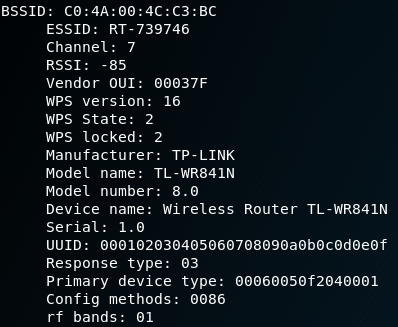 Note: the original name of my wireless interface is wlan0. The new name is wlan0 either. The extended WPS information (serial, model…) from the AP probe answer will be printed in the terminal (in json format). Notice that wash is logically a bit slower when you use the -j option as a probe response from the Access Point is needed. JSON format is hardly suite to analyze by a human. You can now modify "on the fly" wash's stdout with pipe compatibility. 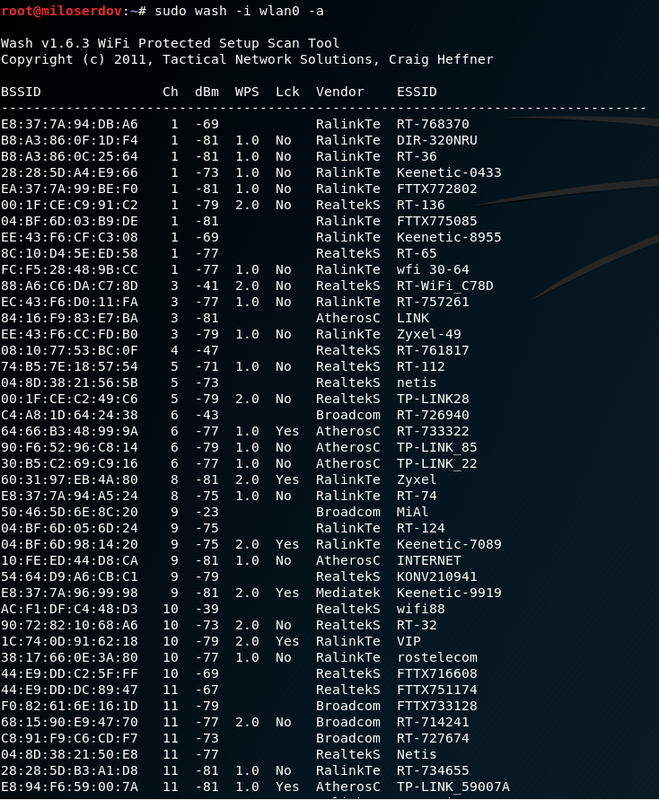 Let's take an example: Some users asked to introduce an eSSID filter and others asked to introduce a bSSID filter. It is now possible to do both things with a basic grep command. And so much more… You could for example filter by model using the extended information from the new -j option or use a custom script to generate a default PIN with some algorithm and (why not?) colorize the stdout. While we do a WiFi scan focused on WPS it might be convenient to see APs without WPS enabled too. If you use the -a, --all option, all the Acess Point (with or without WPS) that are detected will show up in the shell.